A new History of Moira by David McFarland, author of Footprints over Moira. This small village has had an enormous impact on social, political, religious and military life not only in Ireland but also in the United Kingdom and across the world. The village where we live, play, shop or work was once a place where Knights and Earls had their magnificent estate; where the children of nobility played and the children of the lowly laboured. A lad who grew up in poverty became a hero in the American War of Independence while another who was raised in grand surroundings was to become largely responsible for the establishing of Central India as part of the British Empire. In the land around us, soldiers and warriors from across these islands fought horrific battles leaving the blood of thousands to drain into the soil over which we now walk. And it’s not just our land in North West Down that that has seen bloodshed; Moira has important links with the Siege of Derry, the Battle of the Boyne and other violent events in Irish history. Indeed those links take us across the continents. Today the nobility have moved on and their footprints have faded but Moira remains; a place where a host of ordinary folk, folk just like us, have lived and worked and died. Here were people who toiled in the homes, fields and quarries of the district to raise their families, often battling through the most extreme poverty and enduring appallingly difficult times. Yet all who trod this land have left this village with a large legacy for us to experience and enjoy and preserve. Yet so much lies hidden. 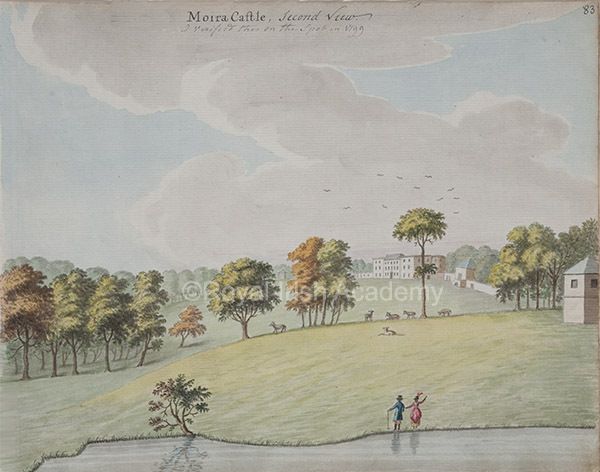 Perhaps you have visited this web site out of interest in local or Irish history; perhaps you grew up in Moira or have chosen to come to live here; whatever your association with Moira I hope you find this site interesting and informative. Moira will always have a very special place in my heart; it is my desire to help you know and appreciate Moira even more. 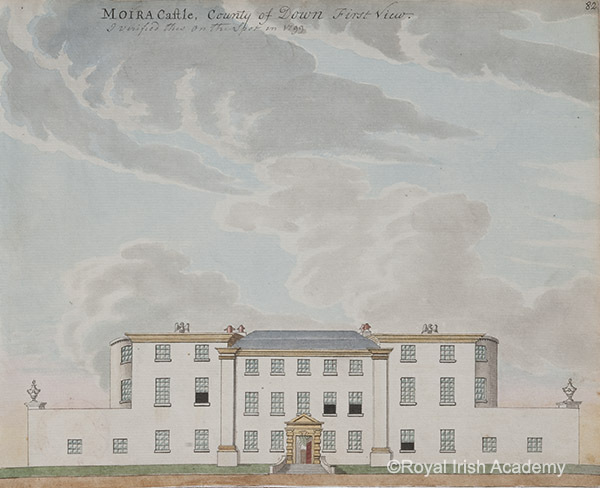 We will share occasional articles relating to the history of Moira; often extracts from the forthcoming book or new information found during on-going research. These are accessed using the menu in the sidebar on the right.